This is a joint event between the Battlefields Trust and the Waterloo Association. Norman Cross was the site of the world’s first purpose-built prisoner-of-war concentration camp. It was constructed during the Napoleonic Wars near Peterborough and was an important prison and military establishment housing up to 7,000 French inmates. The site was a prefabricated structure most of which was demolished after the Napoleonic Wars although the Agent’s House, straw barn and part of the perimeter wall still remain. The site was the subject of a Time Team excavation in 2009. Meet at 1.30 p.m. for a two-hour tour run by the owner of part of the site and Paul Chamberlain who is the acknowledged expert on prisoners of war in the UK and advised on the Time Team dig. The tour examines the story of the depot, the lives of the prisoners, what remains of the site, and what Time Team found when they did their investigation. There will be a visit to the exhibition and a cream tea at the end of the tour. Attendees may wish to visit the Peterborough Museum beforehand to look at some of the fascinating models made by the prisoners. 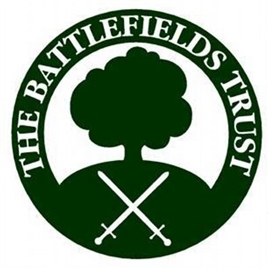 Price is £15.00 for Battlefields Trust members and £20.00 for non-members. To express your interest in attending please contact John Morewood at tjjp199@yahoo.co.uk.